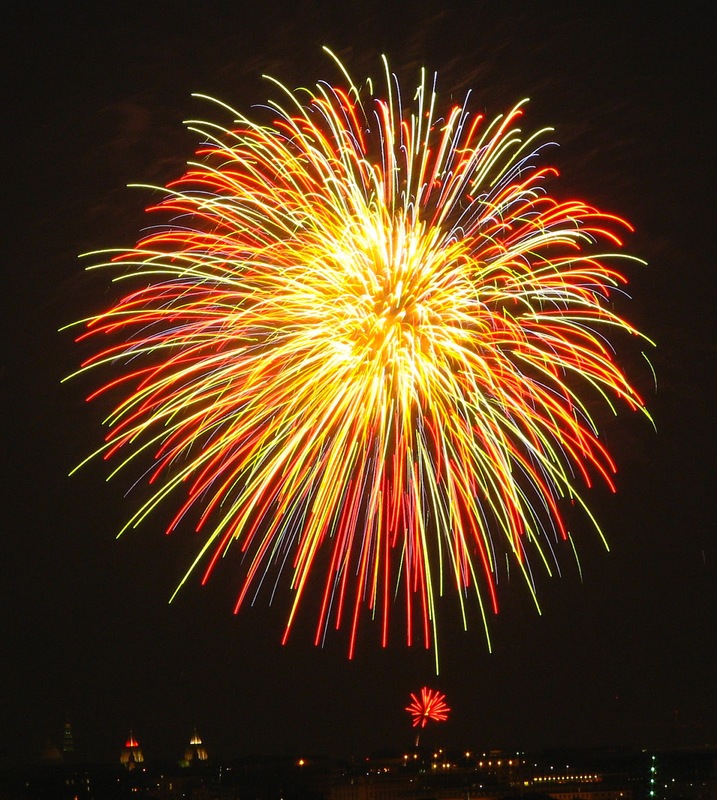 The library will be closed on Wednesday July 4th in honor of Independence Day and will reopen on Thursday July 5th. The website and catalog are always open for renewing, placing holds, downloading ebooks and audiobooks and accessing databases. Keep an eye out for the Friends of the Library who will be marching in the parade to celebrate their 50th anniversary! For more information on all of Glencoe's 4th of July activities click here. Have a safe and fun 4th of July! Photo used under Creative Commons from cameraslayer. Join a librarian in the beautiful Glencoe Community Garden (located east of the Metra line along Green Bay Road, just north of Shelton Park on Harbor Street) on Saturday, June 30th at 2:00pm for Water Your Mind and Read, a special garden-themed storytime the whole family will enjoy. In the case of inclement weather, the program will meet in the Hammond Room at the library. This program is for all ages, with parent or caregiver. 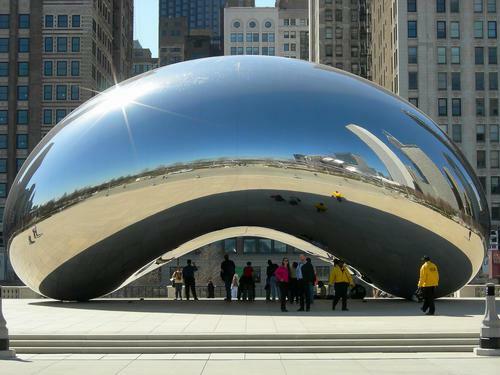 Described by The New York Times as “the crown jewel of a city that takes pride in public spaces,” Millennium Park has been a captivating and controversial destination since its opening in 2004. Come Explore Millennium Park at the library on June 25th at 7:30 with Hy Speck, a 12-year architectural docent who will discuss the artists, philanthropists, and “movers and shakers” who created this 24.5-acre center for art, music, architecture, and landscape design. You love taking movies out from the library so we've decided to offer a blog and newsletter devoted to all the newest and best DVDs that the library has to offer. Flick Picks is the new blog which will offer new releases, undiscovered gems and recommended view-a-likes. It's written by library staff specifically with our patrons in mind. You can also subscribe to receive our Flick Picks newsletter by email. Take a look at the Flick Picks blog right now! We will be closed Sundays beginning June 10th and running through Labor Day. We will reopen on Sundays on September 9th. Don't forget that our website is open every day, 24 hours, for placing holds, renewing books, accessing databases and much more. Plus, we know you'll find lots of other great stuff to do on Sundays in Glencoe! Summer Reading Club Is Here! Children ages pre-K through 5th grade can sign up for their own Summer Reading Club starting June 8th. Reading is So Delicious! is the theme and kids will earn a prize for every 100 minutes of reading. Come consult with one of our children's librarians who will make sure that the kids pick only the tastiest books! PROGRAM IS FULL! Local Pre-K enrichment teacher Kerri Ringel will be exploring food science with the young ones on June 12th, through fact and fiction as well as hands-on activities. Space and materials are limited, so registration for each separate session is required. Children ages 4-6 will meet at 4:15 and ages 7-10 will meet at 5:30. 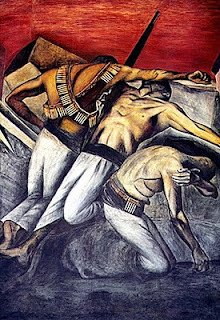 Art historian Jeff Mishur returns on June 11 at 7:00 pm for a lecture on a selection of twentieth century Latin American artists including Diego Rivera, David Alfaro Siqueiros, José Clemente Orozco, and Frida Kahlo. This slide lecture will examine the relationship these artists had with a 1920s cultural and educational reform movement in Mexico known as "Indigenismo" or "Mexicanidad." Promoted especially by José Vasconcelos, Minister of Education, this movement emphasized Mexico's folk traditions and precolumbian roots. There is a Friday night preview for members of the Friends as well, and there is still time to become a Friend! All proceeds from the book sale go directly to library programming, resources and services. Children's Program Change: The Truly Remarkable Loon! We are excited to announce a change in the children’s programming lineup. 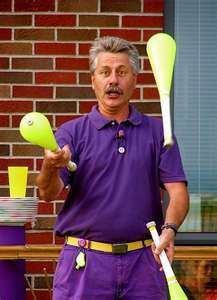 The originally scheduled summer reading kick-off program “Recipe for Success” will be replaced by the Truly Remarkable Loon’s program “Read Books and Juggle Everything Else.” This family-friendly juggling and comedy show will entertain children of all ages—and their parents, too! Come to the Library on Friday, June 8 at 1:30 pm for a loony and fun-filled show!